Our lives, our cultures, are composed of many overlapping stories. 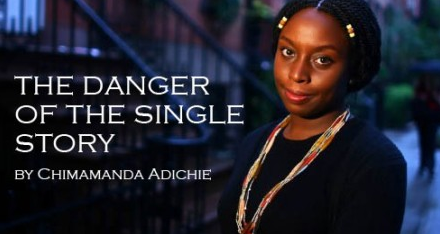 Eloquently explained by Nigerian novelist Chimamanda Adichie's story of how she found her authentic cultural voice. Adichie warns that if we hear only a single story about another person or country, we risk a critical misunderstanding. Amen. I tend to agree with her. When I am expected to be just one thing, I exclaim, "I'm not one dimensional but multidimensional!" I'd like to think this blog is a reflection of a multifaceted me. Yet, I do too get trapped in seeing people in a single story. A few weeks of consistently waking to CBS Sunday Morning, watching the personal narratives of Rita Moreno, Lena Dunham and Linda Hunt have distorted that single story of each, I conjured in my head. 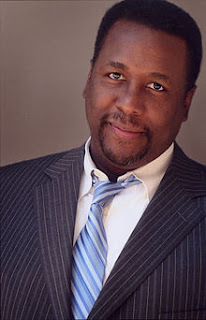 My most recent, interrupted single story was that of actor Wendell Pierce, during NBC Nightly News, earlier this week. I remarked, "In life, we see people but we don't know their stories and when we open up, every person gives us a chance to see them differently!" Thinking out loud, I'll add to my previous remark, ".... maybe even ourselves."